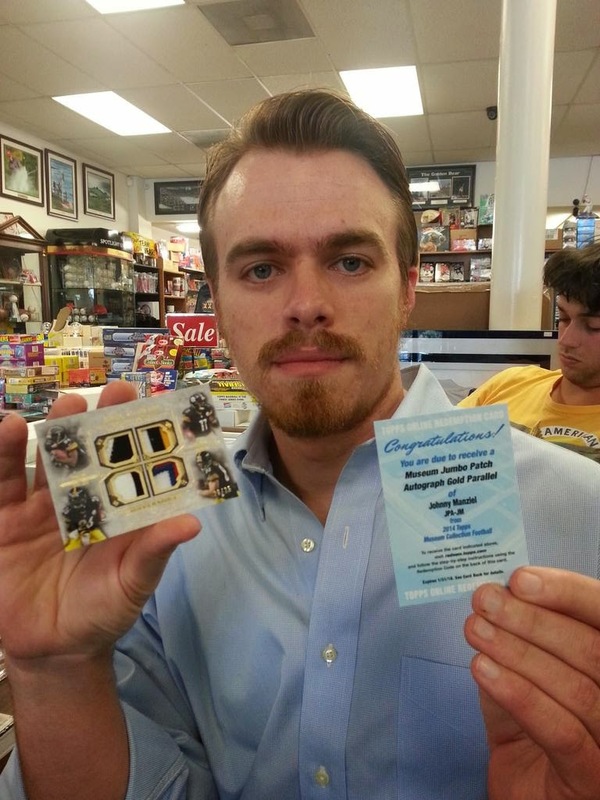 A few days ago, Ben came into Sports Cards Plus, a.k.a. The Super Hit Factory and pulled a 1/1 Jadeveon Clowney Autographed Patch RC from our case of 2014 Topps Supreme Football. Most customers hearing of Ben's Super Hit had declared that case dead. But Leland had a feeling there were more Super Hits to be found in that case, so he gave it a try. Leland was reward for his faith in "The Legend of The Super Hit Factory" with a really special hit. 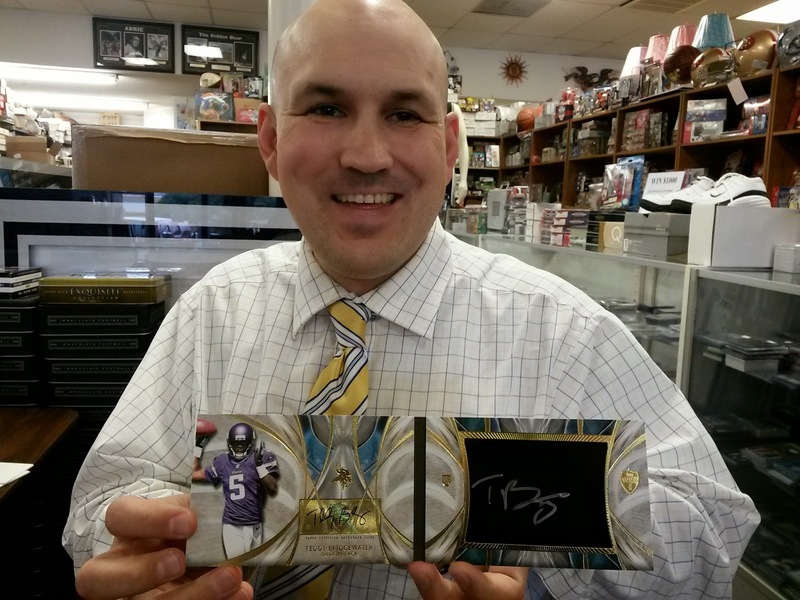 Here is Leland with his Teddy Bridgewater 2014 Topps Supreme Nickname Autograph Book Box Loader 5/5. That's right. This was no ordinary Teddy Bridgewater Nickname Autograph Book Box Loader. Teddy's jersey number is FIVE, making this a truly unique and highly desirable Teddy Bridgewater collectible. The moral to this story is never declare a Super Hit Factory case dead. The BEST CASES in The Hobby are at Sports Cards Plus. So do like Sports Cards Plus customers all over the world do. Go to Sports Cards Plus TODAY and have some fun. After a long and successful day at work, Will came in to have some fun. Will is a Texas A&M Fan and was in search of some Aggie Super Hits. 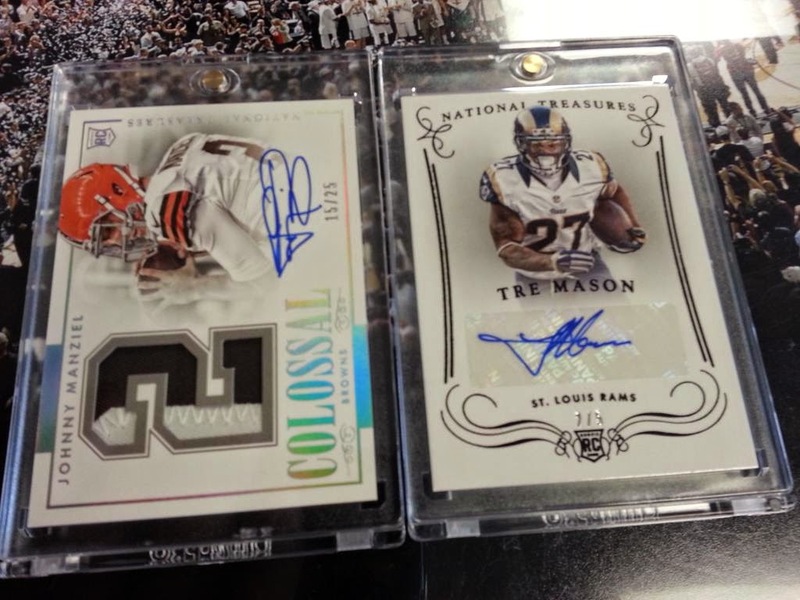 First he tried a box of 2014 National Treasures Football for only $450. Here is Will's Johnny Manziel National Treasures Colossal Autographed Jersey Patch RC #d/25. Next Will decided to try a box of 2014 Topps Museum Football which resulted in this redemption for a 2014 Topps Museum Johnny Manziel Jumbo Patch Auto Gold Parallel #d/10. But Will wasn't done yet. 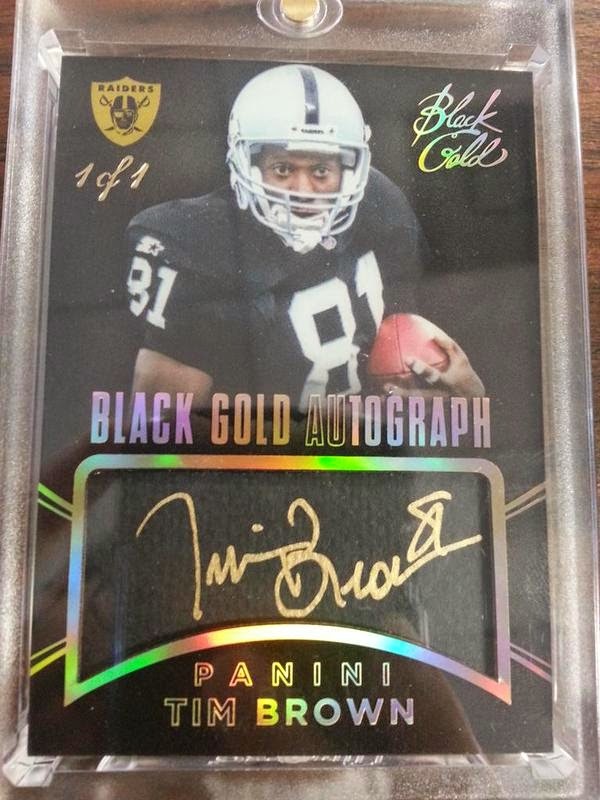 Will believes in the Legend of the Super Hit Factory, so he decided 2014 Panini Black Gold Football was next. 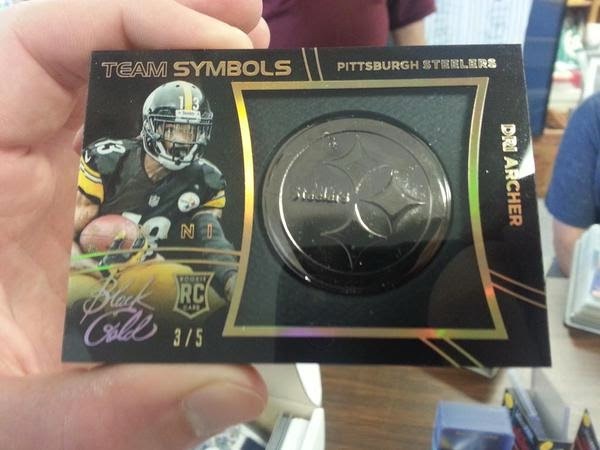 Here are his Dri Archer 3/5 Black Gold Emblem and Tim Brown Black Gold Autograph 1/1. So, what are you waiting for? Don't be the guy who says, "That could have been my picture." Go to Sports Cards Plus TODAY and continue The Legend of The Super Hit Factory.